Whisky & Alement is nearing the end of its eighth year of trade, and as our number of friends in Australia and around the world continues to grow, we’re excited to keep you up to date with what’s happening and what we’re working on behind the scenes. 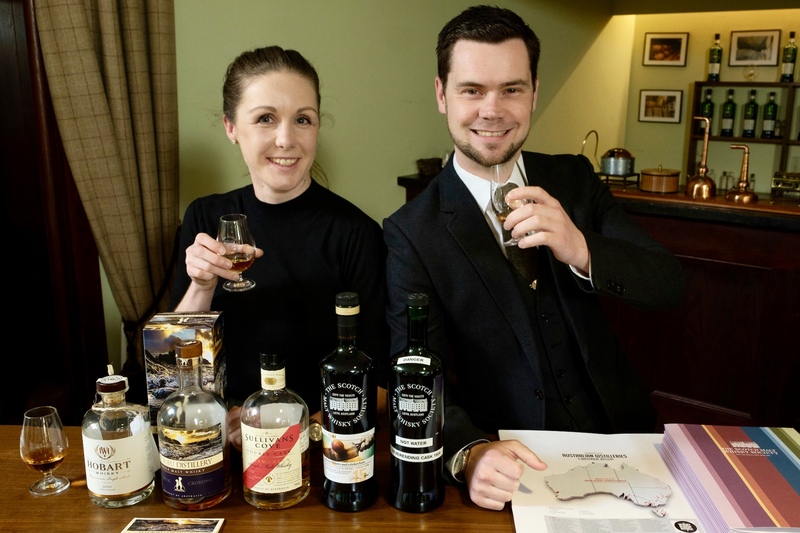 Earlier in 2018, our friends at The Scotch Malt Whisky Society (SMWS) held the latest Malt Whisky Tasting Championship in Sydney. In a combination of true skill, and a touch of luck, owner Brooke Hayman came out the winner. The prize for the win was a trip for two to Edinburgh and a special tasting at the home of the SMWS. So off we went on a wee European whisky adventure! We decided to start our whisky trip in Italy’s north west, where single malt collectors have thrived since the 1970s and 1980s. From Italy, we headed to Jerez de la Frontera, the epicenter of the sherry trade, and then on to Scotland for a visit to the home of the Scotch Malt Whisky Society. 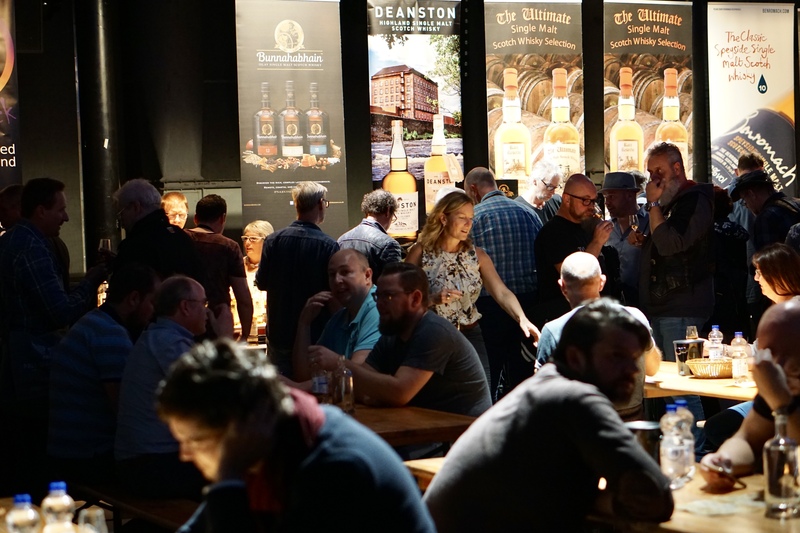 Fortuitously, the Whiskybase Gathering in Rotterdam also coincided with the end of our trip, so we figured that attending one of the world’s leading festivals for rare whisky fanatics and collectors would be a fitting finale. 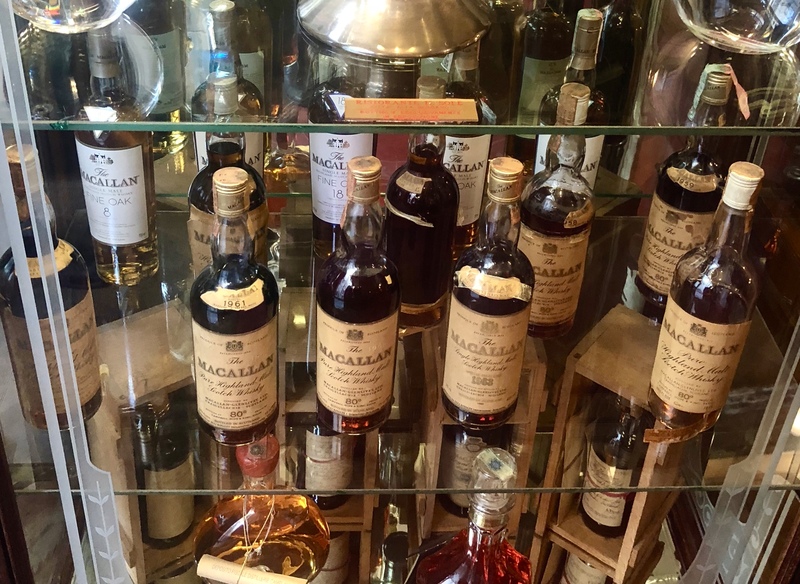 But first to Italy, where, unbeknown to many, there’s an incredible heritage of Scotch whisky collecting. During the 1960s, the Scotch whisky industry boomed in Italy. Dining at local restaurants and small bars was starting to flourish, and it became common for these bars to commission whisky bottlings from the likes of Gordon & MacPhail, Cadenheads and Samaroli to produce special bottlings just for their establishment. This sort of hospitality and pride in serving whisky bred a fantastic culture of drinking and collecting throughout the north of Italy, around Milan in particular. It was this area of Italy that we spent the majority of our Italian leg. In Milan, our host was Enrico Gaddoni, an Italian ex-Melbournian, and a prominent figure in the Italian whisky community. We also caught up with Andrea Ferarri from Hidden Spirits – a fantastic independent bottler of Scottish whisky – to discuss an exciting project we’re bringing to Australia in 2019 (keep an ear out for that!). Towards the end of our time in Italy’s north, Enrico then casually suggested we meet with Valentino Zagatti – one of the world’s famed whisky collectors. By the afternoon, we were introduced to the 84-year-old Zagatti at his home and began hearing about his journey with whisky collecting. For Zagatti, it all started with cigarettes. In his mid-twenties, he quit smoking and started to use the money he was burning through to purchase whisky. By 2014, he’d amassed over 3500 bottles, and such was the collection’s importance – it includes a whisky bottled in 1843, considered the world’s oldest – the Scotch Whisky Institute bought the whole lot in 2014 for a few million Australian dollars. Despite the sale, he continues to collect and still decorates his home with various whisky paraphernalia. While there, we could see that Zagatti loves to be around people, and his collection ensures whisky enthusiasts are constantly dropping in. From Italy, we grabbed a flight to Jerez de la Frontera, the heart of Spain’s sherry industry. We’ve always been fascinated by the sherry industry’s link to Scottish whisky. It’s a complex and constantly evolving relationship, and a topic that arouses heated debate in both Spain and Scotland. After calling in to a couple of the major sherry bodegas that supply casks to the Scottish whisky industry, we were then super excited to visit El Maestro Sierra, one of Jerez’s most respected family-owned bodegas (ask for a taste at Whisky & Alement – their pedro and oloroso sherries are amazing!). 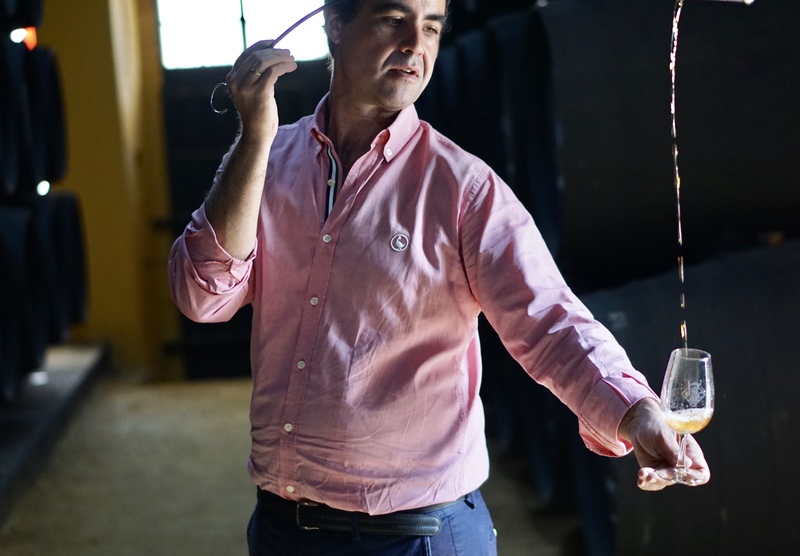 Drinking freshly decanted fino sherry and experiencing the incredible wines maturing in El Maestro’s solera for over 100 years is certainly something we won’t forget anytime soon. Before we knew it, it was our final day in Jerez, and we headed to the bodegas of Valdespino. The bodega, as well as producing sherry, also matures a very small amount of whisky, brandy and rum for Equipo Navazos. Hundreds of casks ranging from genever, grain whisky and malt spirit are matured on-site, and we’re excited to be stocking their malt whisky on the bar. After almost ingesting enough jamon to bring on a coronary, we then headed to Edinburgh, and principally, the Scotch Malt Whisky Society – our home away from home. Whisky & Alement has had a strong relationship with the SMWS for a number of years, and we’ve always wanted to give back to the society’s members in whatever we can. One of the best ways to do that, we thought, was to present a tasting at The Vaults, the physical and spiritual home of the SMWS. We decided to put on a line-up that would give society members in Edinburgh a taste of the Australian whisky industry back home. A little daunted by the prospect, particularly with some notable heads of the SMWS and plenty of Edinburgh whisky folk in the room, we were thrilled to hear those in attendance praise the rich palate weight and careful balance of spirit and oak in the Aussie malt whiskies we presented. More broadly, the encouragement and support of a close-knit whisky community made the experience a true joy – another reason we love being a part of the SMWS. Next, the obligatory tour of the Highlands and Speyside, and, as usual, we visited quite a number of distilleries. This time, it was Royal Lochnager, Edradour, Glenlivet, Macallan, Aberlour, Glen Moray, and a few others. While there, we got chatting with distillery workers and representatives about the change in the Scottish industry since our first trip back in 2011. Although, one thing we kept hearing, and even thinking ourselves, was that not all that much has changed. Sure, some distilleries have been redesigned and expanded, labels have been updated, and new bottlings now flood our inboxes every week. “But it’s business as usual,” said Ian McWilliam from Glenfarclas distillery. 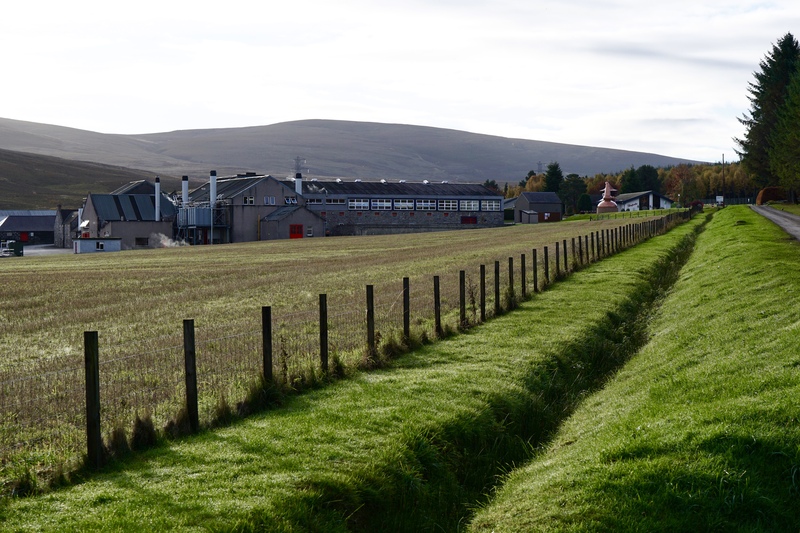 Apart from selling less to blenders and retaining more single malt for their own bottlings, at Glenfarclas, like at many other distilleries, they haven’t changed a thing. It certainly speaks to the timeless nature of malt whisky production. With Scotland finished for another trip, we moved on to something a little bit different for us – the Whiskybase Gathering in Rotterdam, the Netherlands. 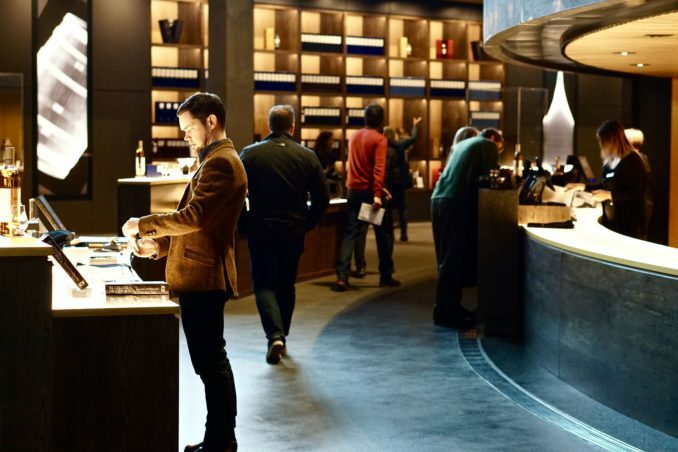 The event brings together independent bottlers and collectors from across Europe to meet and taste each other’s precious whiskies. For those with deep pockets, there’s some incredibly rare whiskies to be had here (some going for 120 euros per 20ml! ), but luckily, there were plenty of fantastic drams available for 2-5 euros as well. At events like this, the emphasis is on drinking and sharing whisky. Many of those with whisky on pour had brought them from their private collections and whisky clubs. So before we start a made rush to Rotterdam next October, the gathering is all about the experience of sharing great whiskies, rather than selling and purchasing bottles. For us, it was a great reminder of why we do what we do – we’re also in the business of sharing whisky as best we can and telling its fascinating story. On that note, you’ll be pleased to know that we picked up over 100 bottles over the course of this trip! So we’ll be sharing plenty of new discoveries with you over the bar and at our upcoming events.